Our homeschool journey is going quite well; and as promised, Emily's father and I are doing our best to make sure she keeps connected to her former classmates. Just this past Friday she had her bi-monthly classes at her former school, and we brought a friend home with us for a play date. Since it was a special occasion I made them a fruit pizza for dessert. I'm telling you, it doesn't get much better then that. This year Emily, along with another friend and former classmate, joined American Heritage Girls which is basically a spiritual version of Girl Scouts. One of the things that they want the girls to learn is how to be a true lady. And by that, I mean someone who thinks of others more then themselves. To me, this is a beautiful thing since this is a lesson her father and I have been teaching her as well. So when I randomly picked a book from our stack to read for this review, I thought it was amazing that one of the main points of the story was how a princess learned to be more thoughtful and less spoiled. 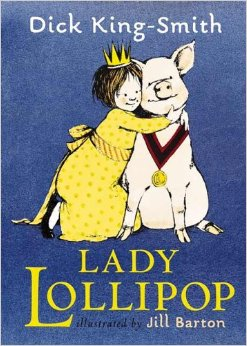 It's titled Lady Lollipop and it's an adorable story of a king, a queen, a princess, an orphan boy, and a very intelligent pig. And the black and white pencil style drawings add to the story and made me almost want to adopt a pig of my own___ almost. This past week was the first week in quite a while that I wasn't outrageously busy. The only real event was Bobby and I celebrating our Anniversary this past Saturday. It was a lovely and relaxing day, and I didn't even feel guilty about doing the bare minimum of house chores. I cooked and did dishes, and that was the extent of my domestic efforts. Autumn also arrived at our house and was made evident by the massive littering of brightly colored leaves covering our front yard. The site of all those leaves was both beautiful and tiring as I thought about raking. 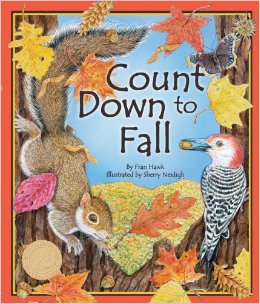 I decided to rake later this week which left me time to read a beautiful book titled Count Down to Fall. It's an older book from 2009, but it is still available and is well worth checking out. Count Down to Fall is told in rhyme, and while I didn't think every page flowed as well as it could, the story line was pleasant. The illustrations, however, are what really sets this book apart. They are very detailed and quite beautiful. The leaves and forest creatures invite you to spend an extra few minutes admiring every page. 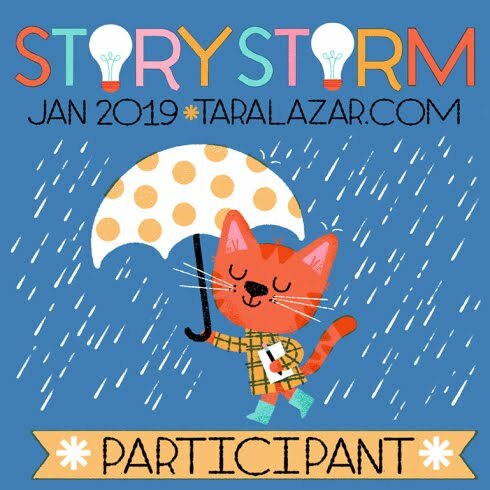 And as an added bonus, at the end of the story, there are activities and facts that would make this book a wonderful addition to a teacher or homeschooler's curriculum. Emily also read a book to me that I enjoyed very much. It was called Elmer and The Dragon. Although written in the seventies, it is a fabulous book that has stood the test of time and is still available today. 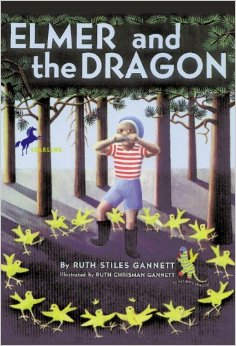 Elmer is a young boy who runs away from home to save a baby dragon in distress. After saving the dragon, it is grateful and offers to take Elmer home. 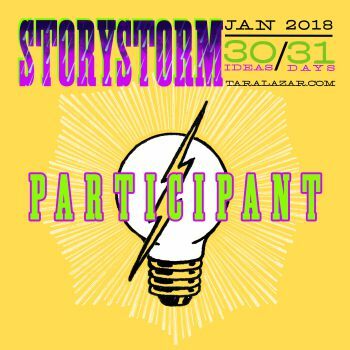 On the journey, they encounter a wild storm and a strange island. The adventures are highly entertaining and certainly kept my interest as well as Emily's. Just as the seasons change without fail, so do the seasons of our lives. And although change is often difficult, it can also mean new opportunities and fresh beginnings. So as sad as I was to see this past weekend usher in the very last farmer's market of the year in my home town, I really am ready for a breather. I am eagerly contemplating how I will now use my Wednesdays, Thursdays, and Fridays which for some time have been spent madly baking. One of my short term goals is to finish the third book in my Fern Valley series and then to move onto a completely different work in progress that I have been mulling over for quite some time. This also leaves more time for reading and reviewing! 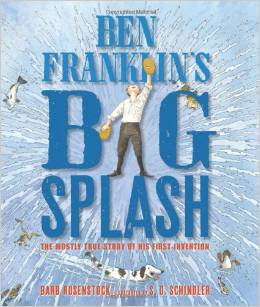 And speaking of reviewing, I decided to read a book that Emily recently read entitled Ben Franklin's Big Splash - The Mostly True Story of His First Invention. She seemed to really enjoy the story, so I sat down to see why. What I found was a humorous and well written story that made Ben Franklin seem real to me and not just a part of ancient history. Curiously enough, it also inspired me to keep writing and keep submitting despite the numerous rejections I regularly receive. Ben doesn't worry about what other people think about him or his inventions, he just keeps inventing. One of my favorite parts of the book says, "Most kids might have felt sad, ashamed, or stupid. Instead, this smart, stubborn, sensible son of a soap-maker simply thought he'd made a mistake___ and wouldn't stop seeking, studying, and struggling until he SUCCEEDED." My dad always told me that the only way you fail is to not try at all, so just like Ben I will not feel sad, ashamed, or stupid. Instead, I will keep seeking, studying, and struggling until I succeed. 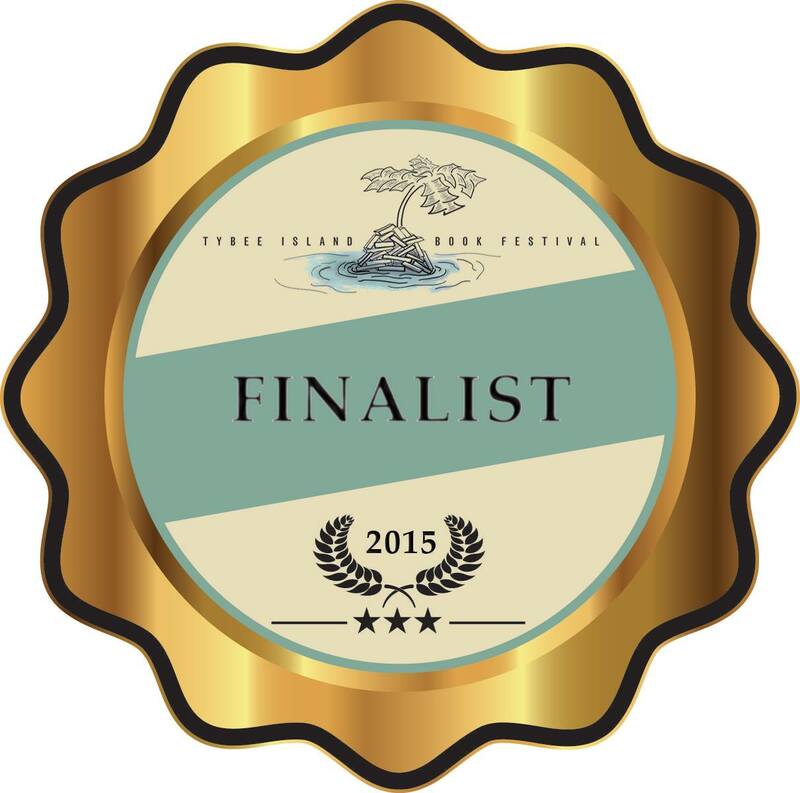 I will keep writing and submitting until an agent or publisher realizes what I already know. That my writing is worthwhile, and I deserve representation. Iowa City Was An Icy Blast! I don't normally post on Thursdays, but as promised earlier in the week, I am posting to share pictures from my trip to Iowa City where I attended the Iowa City Book Fair. To say I had a blast would be an understatement. To say I had an icy blast would be chillingly accurate since the wind was blowing about fifteen miles an hour. 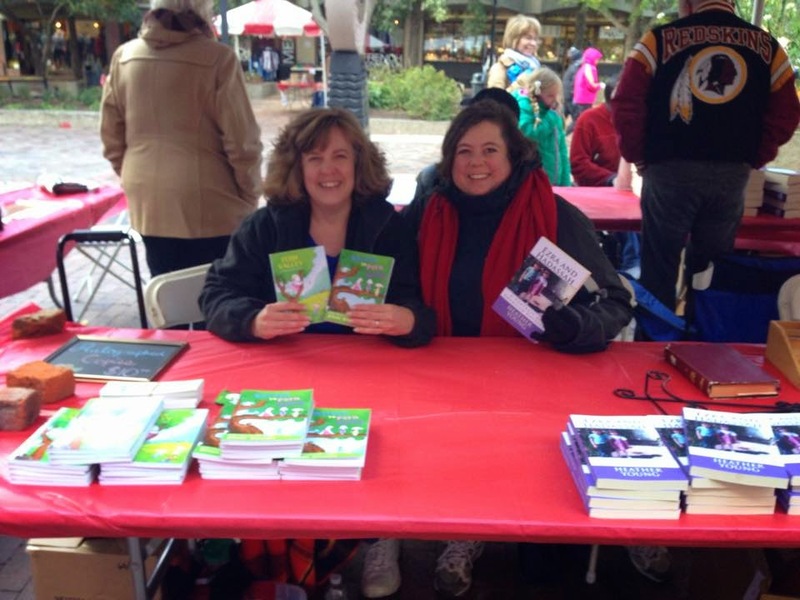 Despite the frigid temperatures, I met a wonderful table mate and fellow author named Heather Young. 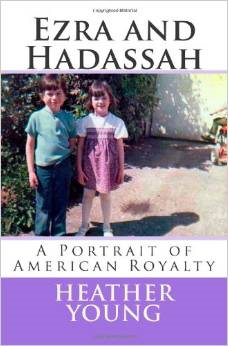 She has written an interesting memoir called Ezra and Hadassah all about her and her brother's journey through the foster care system, and it looks like it would be an excellent non fiction read for the young adult crowd. I also wiled away the cold hours chatting and admiring the bagpipe music by a local musician. The next day at a much warmer event held downtown at the quirky women's shop called Dulcinea, I met a fantastic young man named Ayden, who at the age of seven, shared with me his love of chickens, cooking with eggs, and his grandfather's farm. Now I don't know about you, but just like Ayden, I love a good hard boiled egg or an egg sandwich. After the festivities were wrapped up, we managed to do a little sight seeing. One of my favorite moments was when we found the largest wooden nickel I have ever seen. I think we could all use a little common sense! And a history lesson on the underground railroad found at an Iowa rest stop. Iowa turned out to be a very interesting place to visit and if you every have a chance, I suggest you swing out that way. And don't forget to check out Heather's book! It's Monday again and that usually means book review time on my site, but I am still in transit from the Iowa City Book Festival I attended this past weekend. Being that as it may, I could not leave you without a post of some kind, so I am re-sharing author advice I handed out in 2011. Think of it as recycling of classic material which never goes out of style. And I promise, I will have an extra post later this week sharing pictures from my trip! 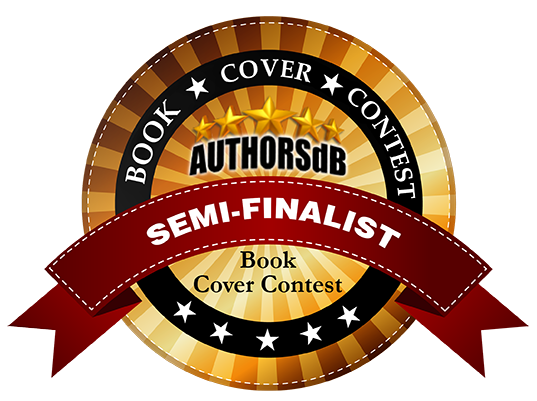 Often authors think of other authors in terms of competition. And while this is true in some sense, it is much more helpful to think of other authors as partners and support systems. The old saying what goes around comes around is very true. When you help others, they are inclined to help you also. Below are five ways that you can help yourself by helping other authors. 1. 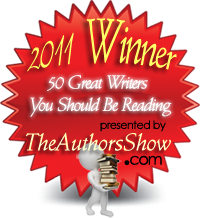 Offer to do book reviews for your fellow authors. Book reviews posted on Amazon, Barnes and Noble, Goodreads, Library Thing, and Shelfari not only help other authors spread the word about their book, but usually will be reciprocated. 2. Share marketing tips that work well for you. Knowledge is meant to be shared not horded. When you share tips, not only are you helping others, but you are branding yourself. You are promoting yourself as a caring individual who wants others to succeed in life as well. 3. 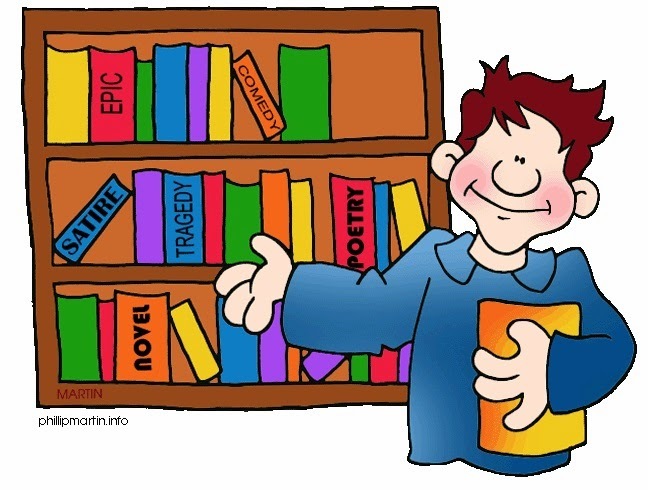 Promote similar books by fellow authors on your website or blog. One great way to do this is to add an Amazon widget to your site. My favorite is the Amazon carousel which is a rotating collection of books with prices and links. When you sign up to become an Amazon associate and someone buys a book through your link you earn a small commission. There's even a helpful video on this subject by marketing guru Tony Eldridge. 4. 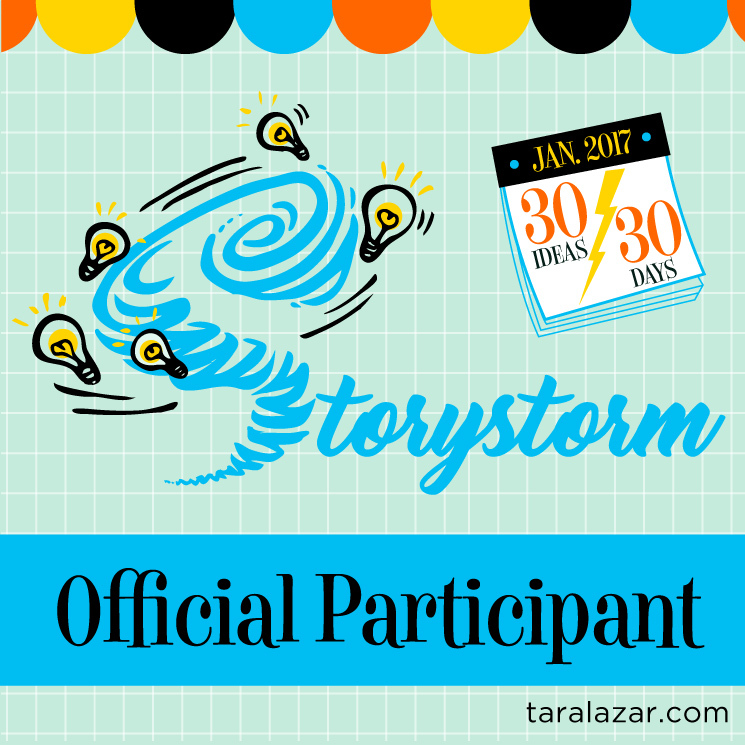 Offer words of encouragement to other authors. This costs absolutely nothing and helps bolster moral. Many times a small word of encouragement has helped me to forge ahead when instead I felt like giving up. 5. Include other authors in your social networking. For those of you who belong to Facebook or Twitter, share a fellow author's link or tweet about other authors on #Writers Wednesday or #Follow Friday. Not only does this help your author friends, it also gives you a broader base of potential followers. People who follow your fellow authors may see and follow you as well. There you have it my friends, five really simple things you can do for others that will benefit you as well. And in case you were wondering about the fabulous clip art that is a staple on my site, It is created by the wonderful Phillip Martin.